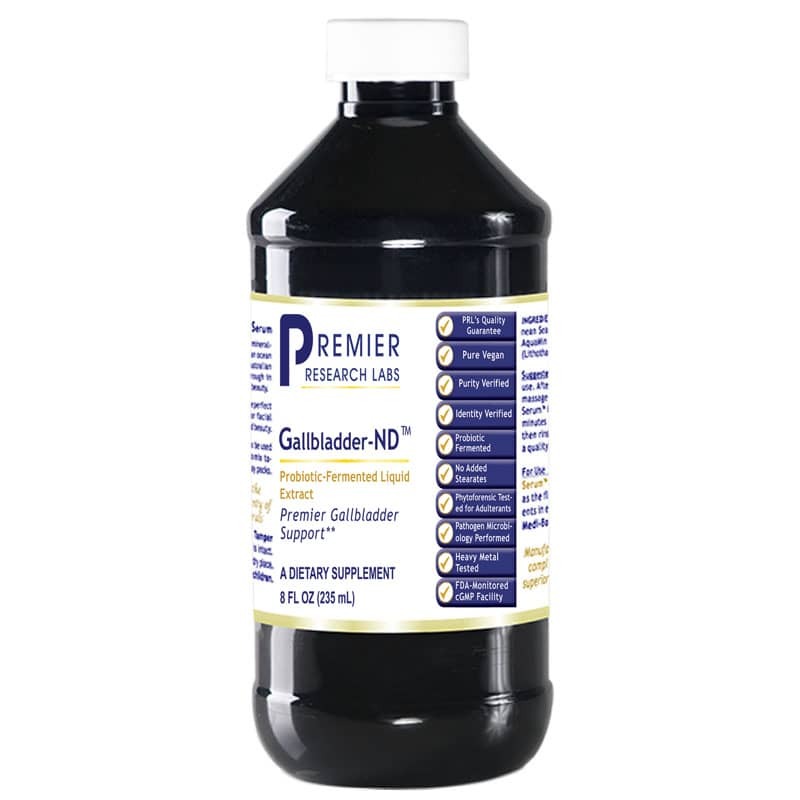 Gallbladder ND from Premier Research Labs is a comprehensive liquid herbal formula designed to support healthy bile flow and gallbladder function. The gallbladder is responsible for bile storage and fat digestion. It is an important part of the body's natural detoxification pathways. Adults: Take 1/2 teaspoon mixed in water or juice, 2 times daily or as directed by your health professional. Shake gently before use. Gallbladder - ND really helps me. this product is easy to take and a great support for gallbladder health. This product works well for me to take it before bedtime. It helps to keep my gallbladder functioning properly. I appreciate the prompt shipping from this company...great service! Recommended by my ND for helping my organs out and I am seeing great results. I'm 30 weeks pregnant and my doctor has approved this! I have been taking this product for 2 months now and I feel like my stomach pain has decreased, my bathroom trips are more frequent and overall, I have more energy than I've had in a long time. I love this product!! Purchased this previously as it really helped with gallbladder issues and pain, but it's been reformulated. Took tonight and have been up all night in pain, would not recommend.